Standards for precious metal (Silver, Gold) originated from Geneva during the 15th century. In the year 1424,with the first recorded fineness and marking regulation enacted by Bishop John of Brogny. Regulations were later introduced in the cantons of Neuchâtel and Schaffhausen, each having its own standards for gold and silver, its own system of testing and hallmarking, and its own unique set of marks. To begin with the standards and marking were controlled by the local Guilds. 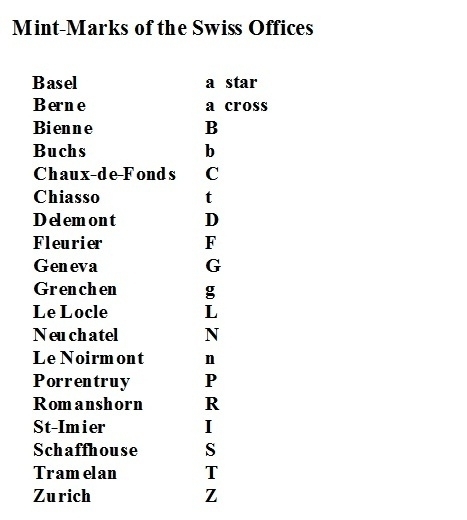 Markham's "Handbook to Foreign Hallmarks" says that an Assay Office was established in Geneva on 22 September 1815, and one in Neuchâtel in 1839. These assay offices were established by law, superseding the medieval Guild system of regulation. 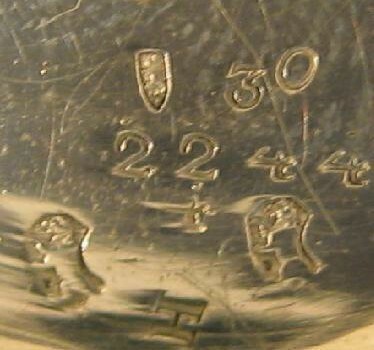 Between 1880 and 1933 the Swiss hallmarks for silver were either a "bear rampant" (a bear standing on its hind legs), or a grouse. The bear mark indicates that the metal contains at least 0.875 or 87.5% pure silver fineness, and the grouse that the metal contains at least 0.800 or 80% pure silver, the other metal in the metal composite is usually copper. The reason is because of durability and strength. Sometimes a standard of fineness of 90‰ or 0.900 is seen. This is frequently used in silver watch case. Although never entered into Swiss law as a standard, but 900 fineness silver was a popular grade because it was the standard of coin silver in a number of European and other countries. The precious metals act of 1880 specified for silver the higher standard of fineness of 87.5‰ and higher. 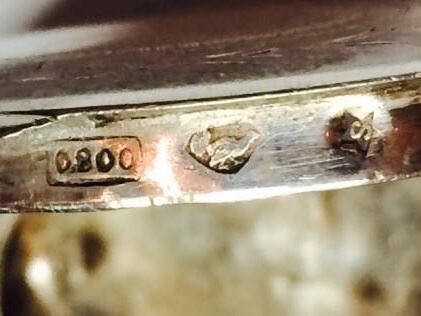 There was nothing to stop manufacturers making watch cases from 900‰ silver, stamping them "900" as shown in the picture below, and submitting them for assay and hallmarking. 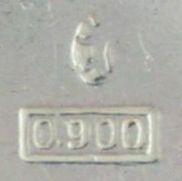 The "bear" was used for silver 875‰ and higher, independent the actual fineness, so this mark was applied to the item as shown in the picture — the faint mark above the 900 is the bear. The bear did not guarantee that the item was 900‰, only that it was at least 875‰. 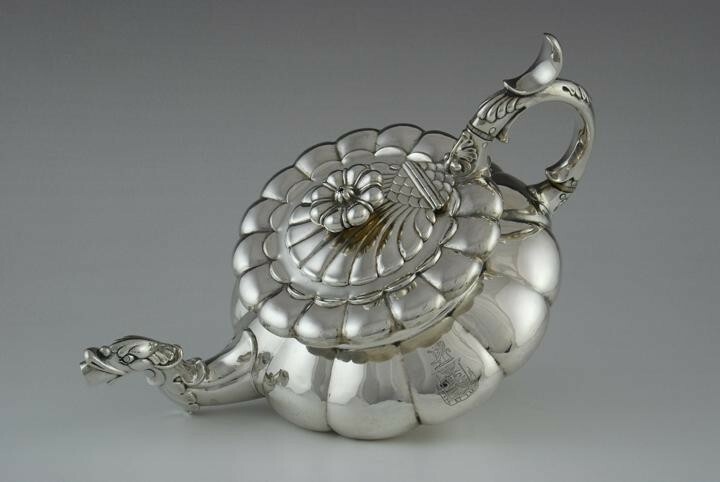 The Swiss Act of 1880 recognized only 800 and 875 silver as legal standards in Switzerland. This presented Swiss case makers with a problem, because neither of these was legal in Britain, where the minimum legal standard of sterling was 925 pure, higher even than the 900 fineness. This lead to the use of a grade of 935 for Swiss silver watch cases destined to be exported to Britain. Identifier of the Swiss assay office or "bureau de contrôle" where the item was tested and marked; "G" for Geneva, "N" for Neuchâtel, "C" for La Chaux-de-Fonds. Both Biel / Bienne and Bern used "B", which was allowed because they are both in the canton of Bern.